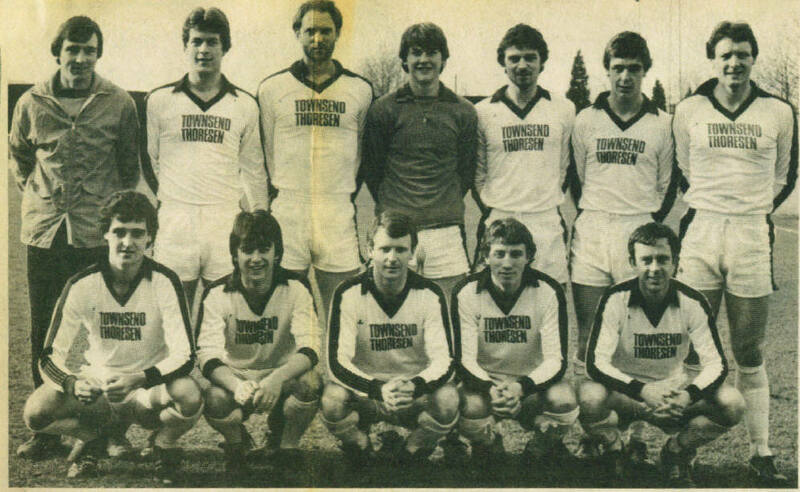 Dover pictured at Crabble before the 1-2 defeat to Hounslow on 6th.March 1982. Our goal came from Neil Cugley. Back Row: Peter Brooks(Player-manager), Dave Linstrem, Dave Westgarth, Joe Radford, Terry Jolley, Adrian Fagg, Neil Cugley. Front row: John Brooks, Graham White, Terry Norton, Bobby Wilson, John O'Connell.